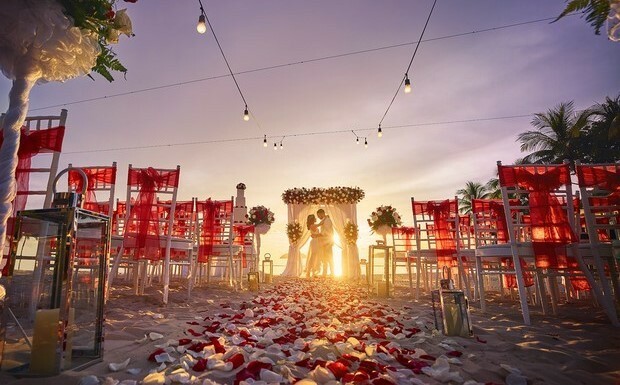 Located on beautiful North Western coast of Borneo, the luxurious Shangri-La’s Tanjung Aru Resort & Spa is an ideal spot for a destination wedding. 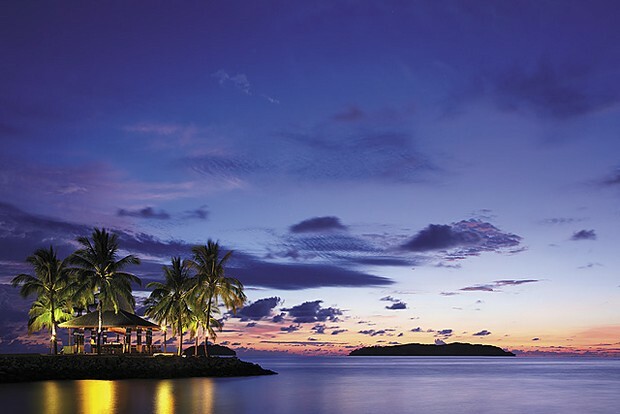 Less than 20mins form the Kota Kinabalu airport it’s perfect for guests flying in from afar. A combination of luxury and natural beauty are woven together to produce a setting where magical moments are made! 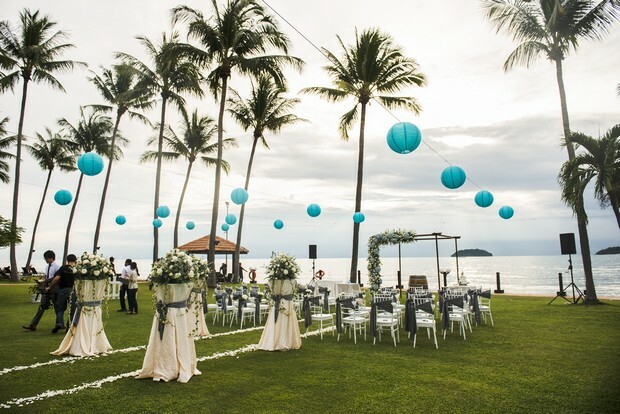 Why not plan your ceremony in their private gardens with breath taking views of the South China Sea? It’s pure paradise! 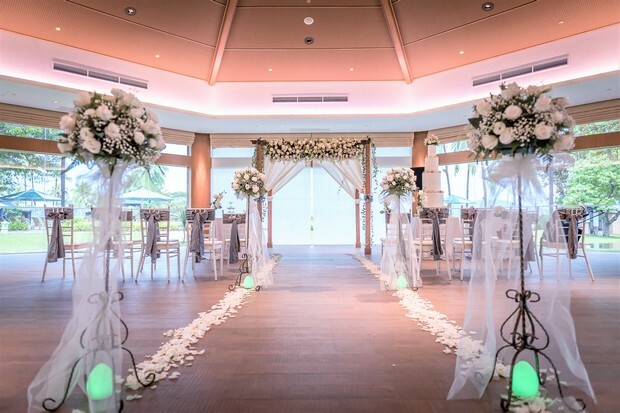 We were delighted to catch up with Claudina from the Shangri-La’s Tanjung Aru Resort & Spa to give us more insight on this perfect destination wedding venue. 1. 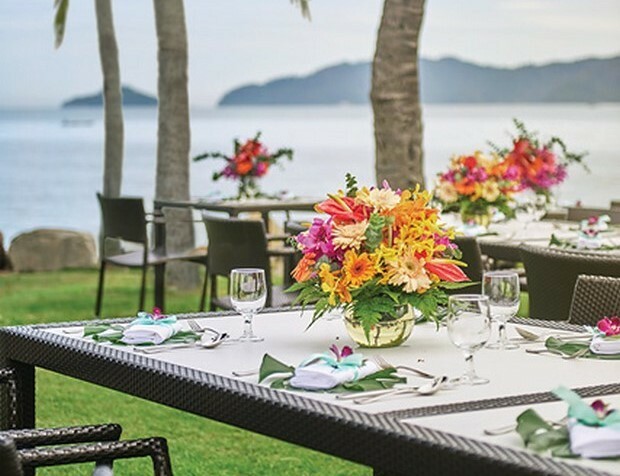 Why are weddings so special at Shangri-La’s Tanjung Aru Resort & Spa? Our Resort is located along the shores of the South China Sea and is an ideal venue for a sunset garden or beach nuptials. We have several functions rooms as well to cater small and even large scale celebrations. 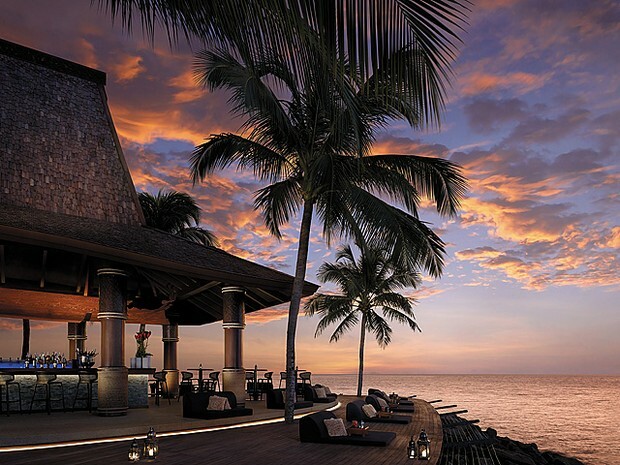 We are home to the famous Sunset Bar, known as one of the top places in the world to watch the sun set! 2. 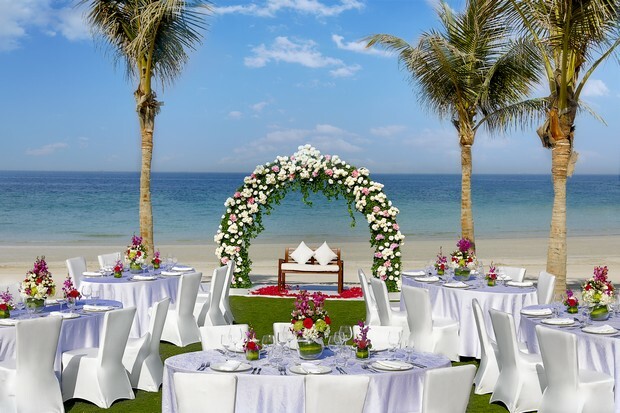 Are there venues in Shangri-La’s Tanjung Aru Resort & Spa to suit every couple? 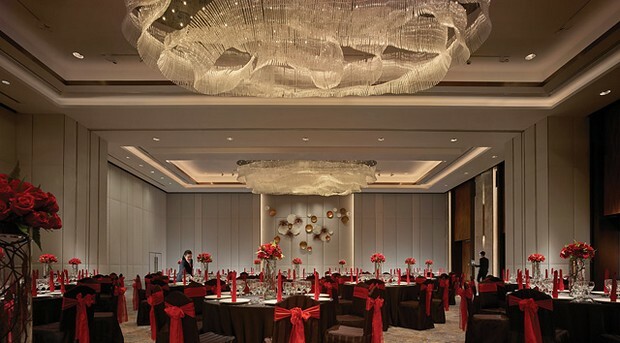 We have indoor as well as outdoor function spaces to cater to weddings of up to 500pax. From the classic Grand Ballroom to the private Sunset Beach, we have venues to suit every bride’s taste. 3. Which venues are the most popular for weddings and which ones are hidden gems? 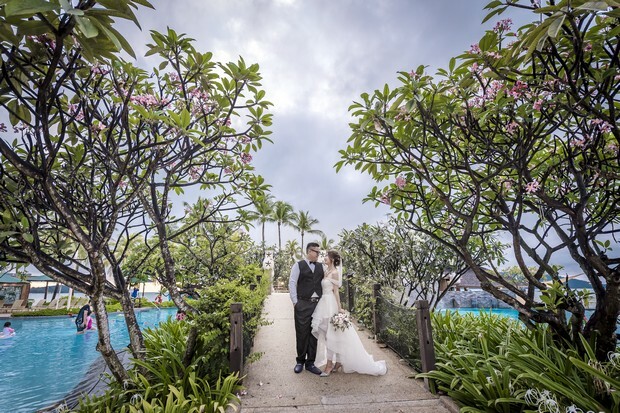 The Tanjung Garden and Pavilion are the 2 most popular venues for weddings nowadays. The Tanjung Garden is the preferred venue for a sunset garden nuptial, with its incredible view of the South China Sea and the Borneo sunset. The Pavilion is a fully air-conditioned space, featuring floor-to-ceiling glass walls that show off the well-manicured gardens and the brilliant blue sea. Couples who prefer an outdoor wedding without having to deal with the tropical heat find the Pavilion a gem! 4. How do you help a couple create a perfect wedding? For starters, we talk to the couple to ensure we understand what they are looking for. Then, we will send them a basic checklist to help them along, it is a guide that eases pre-wedding jitters. From wedding dates to accommodation, number of guest, theme wedding, menu, setup, photographers etc. Constant communication is the key. 5. What additional wedding services do you offer? We do provide extra services such as makeup, manicure & pedicure, photography, videography services. And if there’s a need, we help look for bridal gowns as well. And because we understand how stressful weddings can get, we throw in a little extra bonus the morning after the celebration – a massage at our award-winning CHI, The Spa. 6. What is your chef’s specialty for weddings catering? Our Chefs are masters at customizing menus for every bridal couple because we understand every wedding menu is as unique as the two persons getting married. Rest assured all foods served in our kitchens are Kosher. In case the bride or the groom needs a little calm-me-down treat, don’t miss our signature cheese cake. 7. 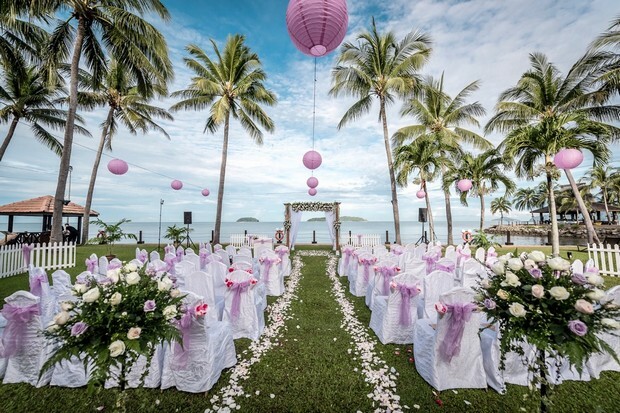 Why should a bride choose Kota Kinabalu for their destination wedding? 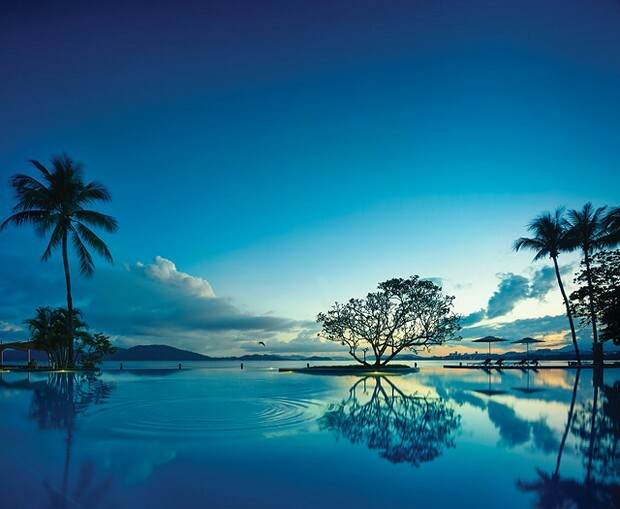 We enjoy tropical weather all year long and are just one direct flight from Kuala Lumpur, Singapore and Hong Kong. Kota Kinabalu is a city by the sea and is rich with cultural heritage, a real boon for the bridal party who can soak in the Borneo experience while here for the wedding. 8. What’s proving really popular when it comes to weddings right now? More couples are opting for an intimate wedding. Destination weddings are popular right now. The bridal party come for the wedding while enjoying a tropical holiday as well, exploring the wildlife of Borneo. 9. 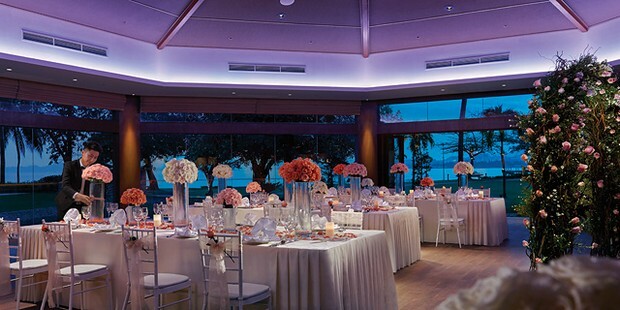 Can you sum up weddings at Shangri-La’s Tanjung Aru Resort & Spa in few words? Dream wedding in a tropical paradise! If you want to know more have a look at Shangri-La’s Tanjung Aru Resort & Spa’s website or contact Tiffany at tiffany.chu2@shangri-la.com or call (6088) 327 888. A few helpful hints! If you are coming from the UAE there are daily flights with the award winning Royal Brunei Airlines. From India there are a number of options including Malaysian Airlines. The lovely Humphrey from Sabah Tourism Board is happy to tell you more about Sabah Province of Malaysia and holding your destination wedding there. You can email him at humphrey@sabahtourism.com.